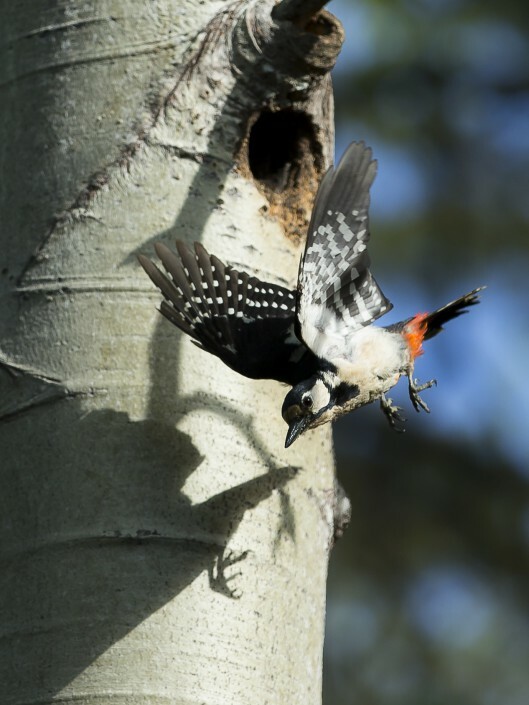 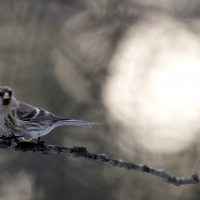 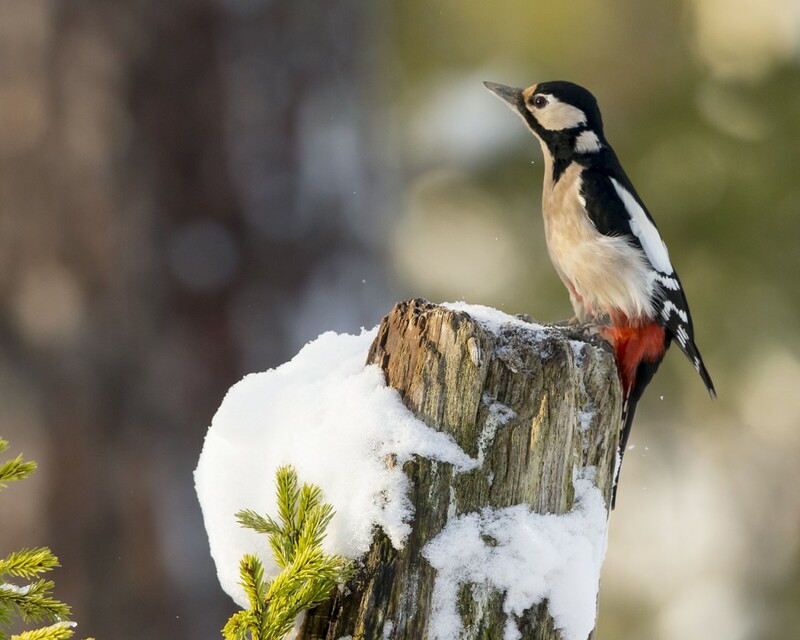 is a bird species of the woodpecker family (Picidae). It is distributed throughout Europe and northern Asia, and usually resident year-round except in the colder parts of its range. 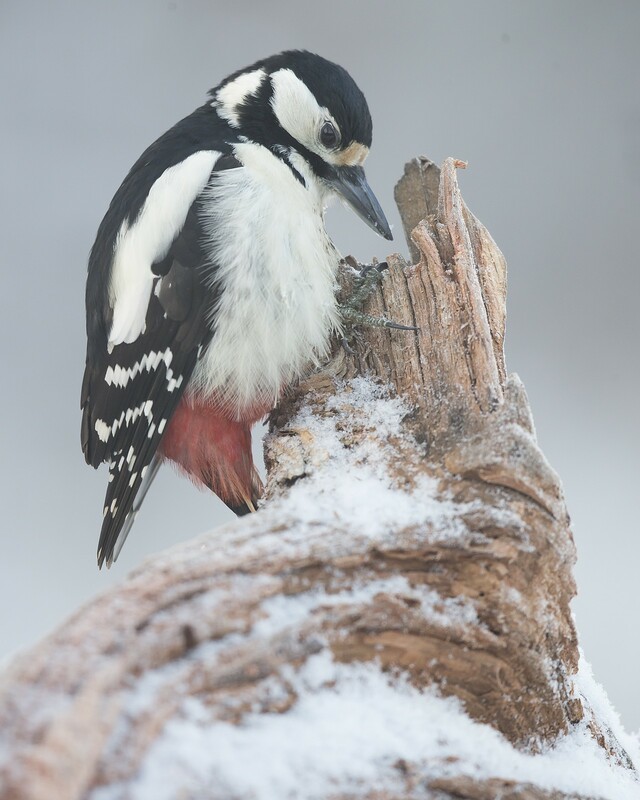 It is not considered a threatened species by the IUCN, being widely distributed and quite common. A significant recent increase in the British population has resulted in the recolonisation of Ireland. 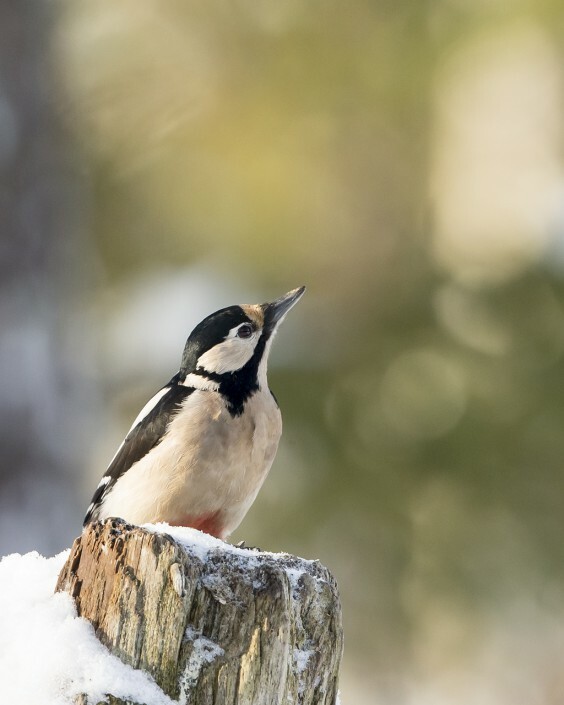 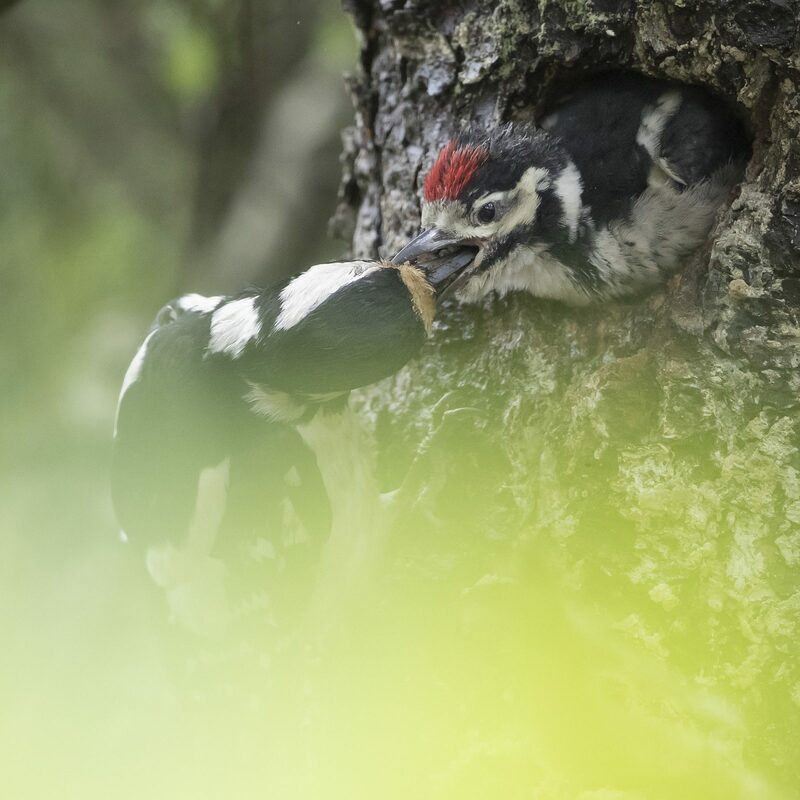 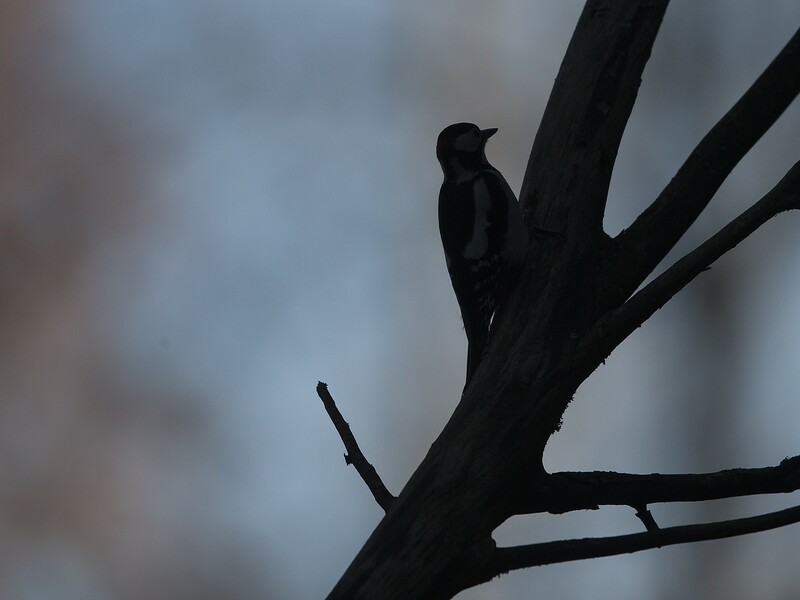 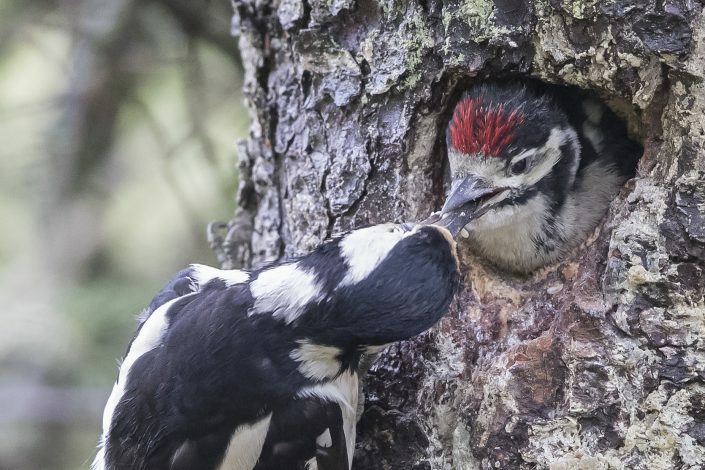 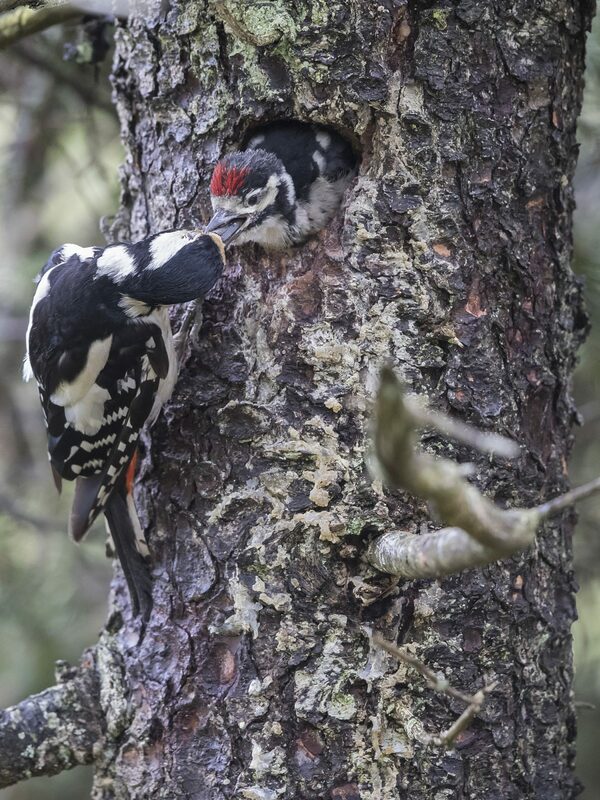 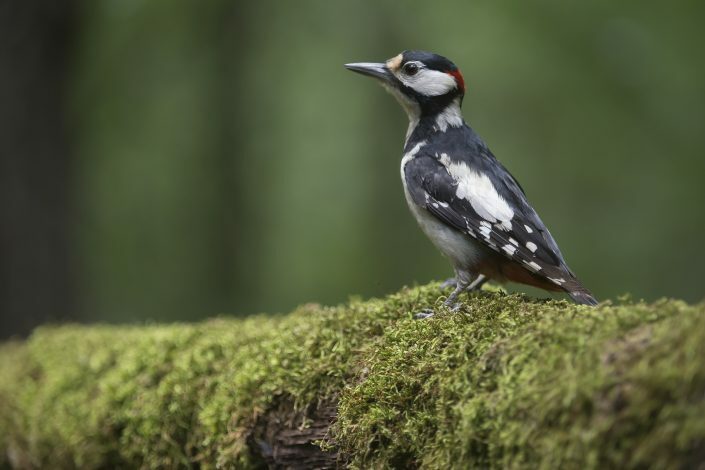 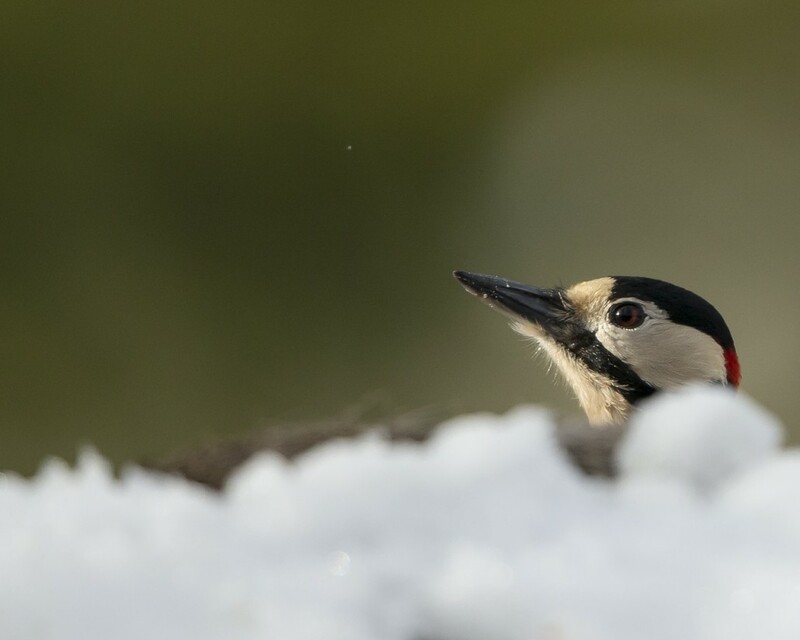 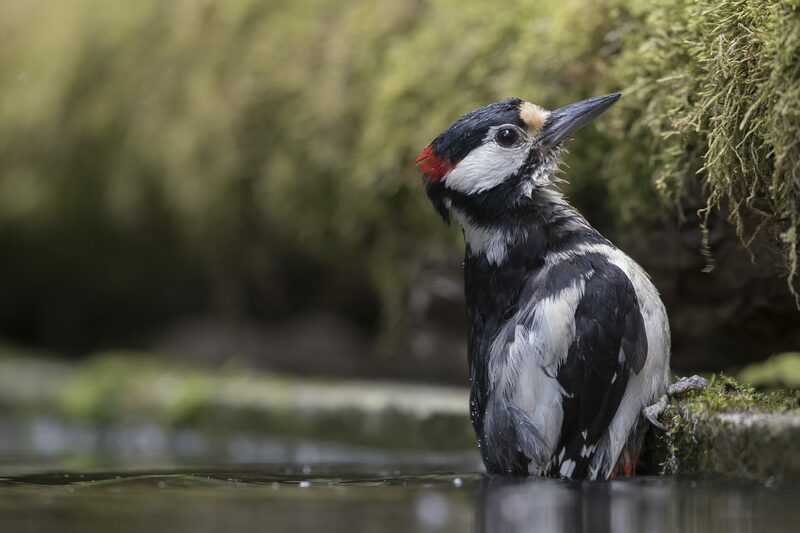 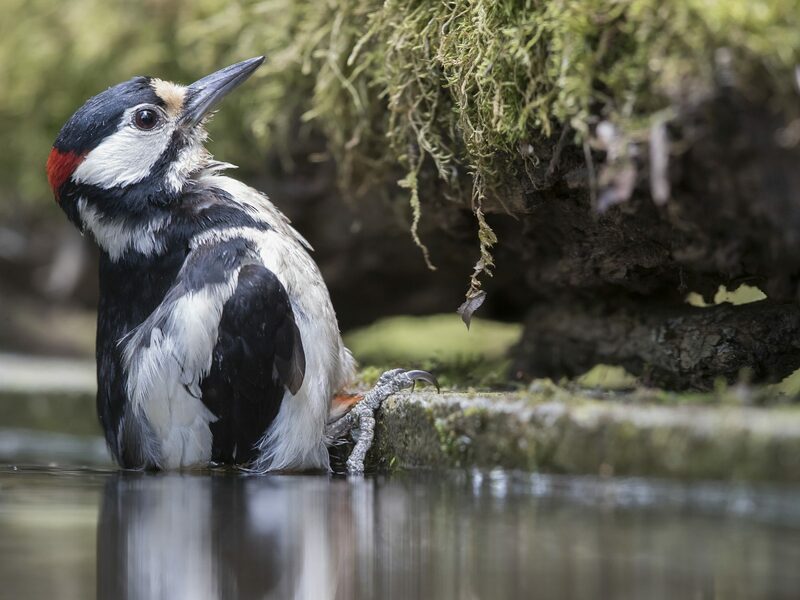 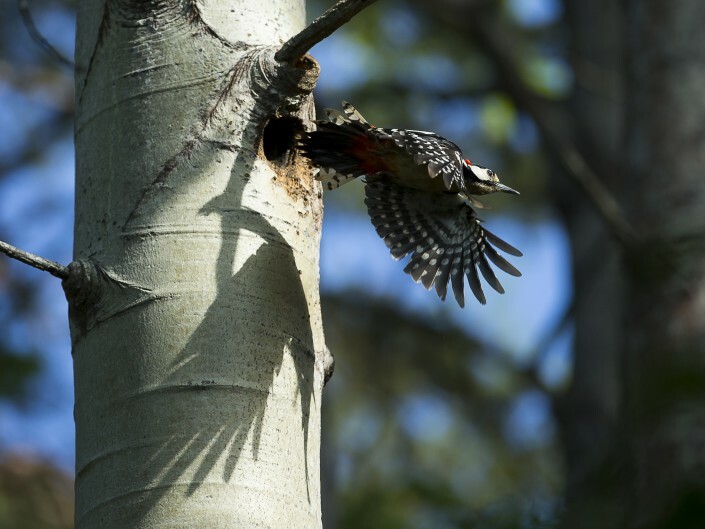 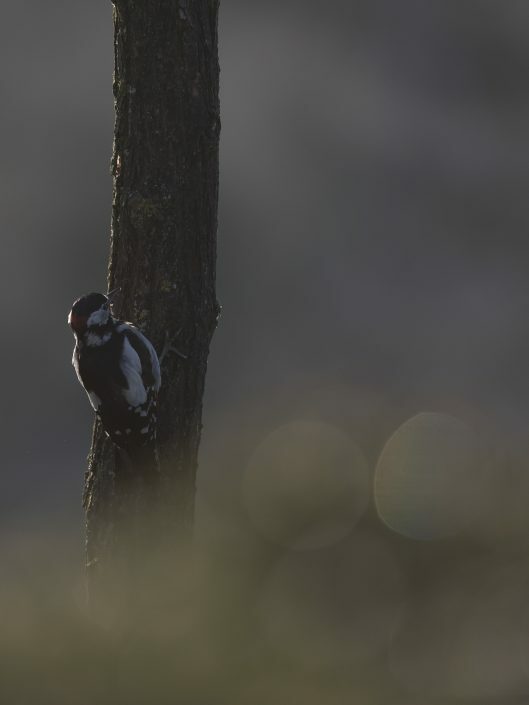 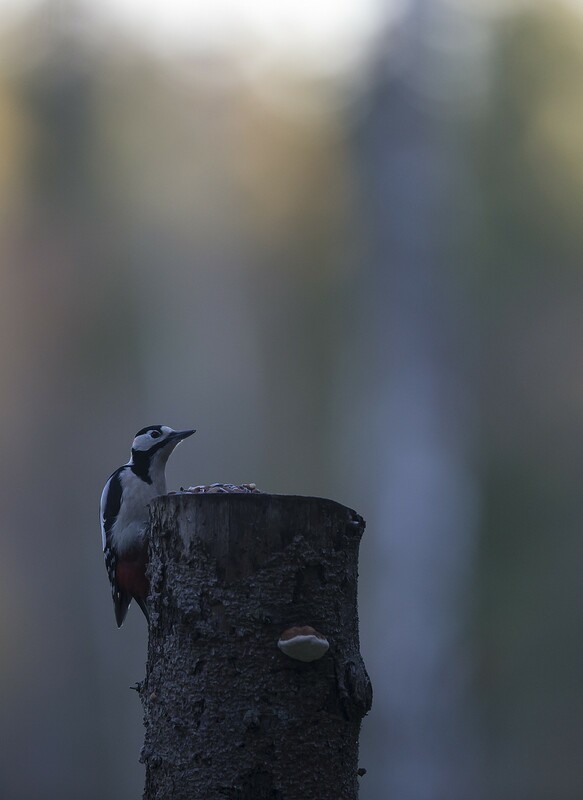 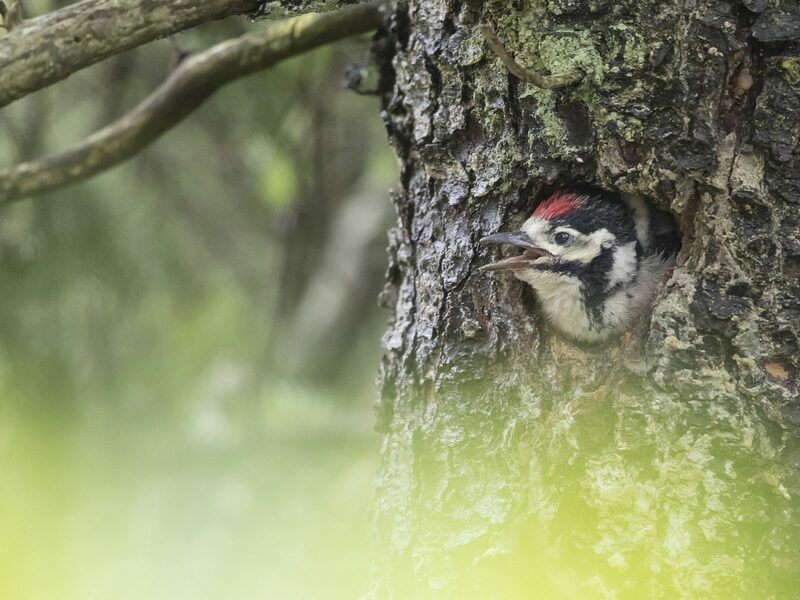 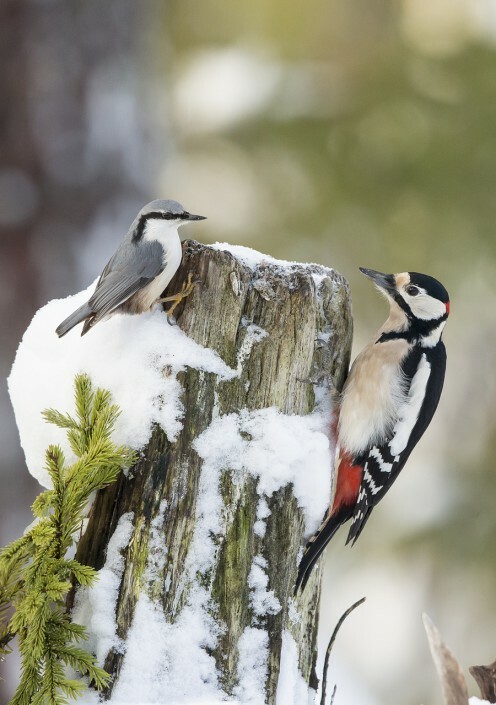 The great spotted woodpecker is 23–26 centimetres (9.1–10.2 in) long, with a 38–44 centimetres (15–17 in) wingspan. Weight: 70-98 g. The upperparts are glossy black, with white on the sides of the face and neck. 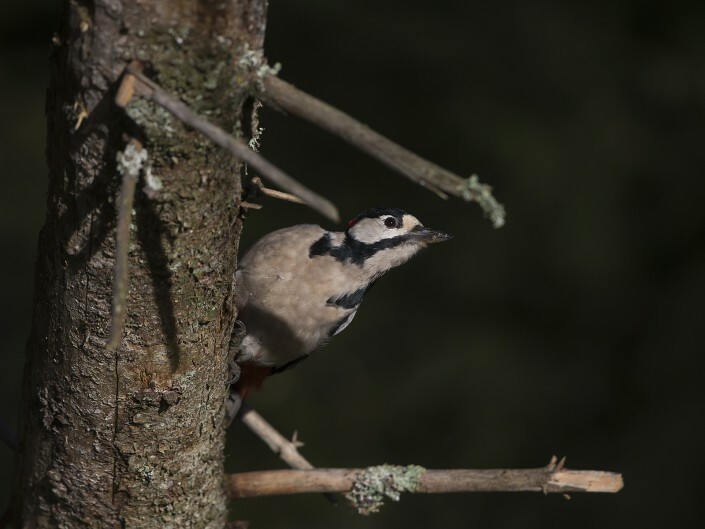 A black line zigzags from the shoulder halfway across the breast (in some subspecies nearly meeting in the center), then back to the nape; a black stripe, extending from the bill, runs below the eye to meet this latter part of the zigzag line.